Kate Ellis nails it at her London album launch gig with a beautiful performance. 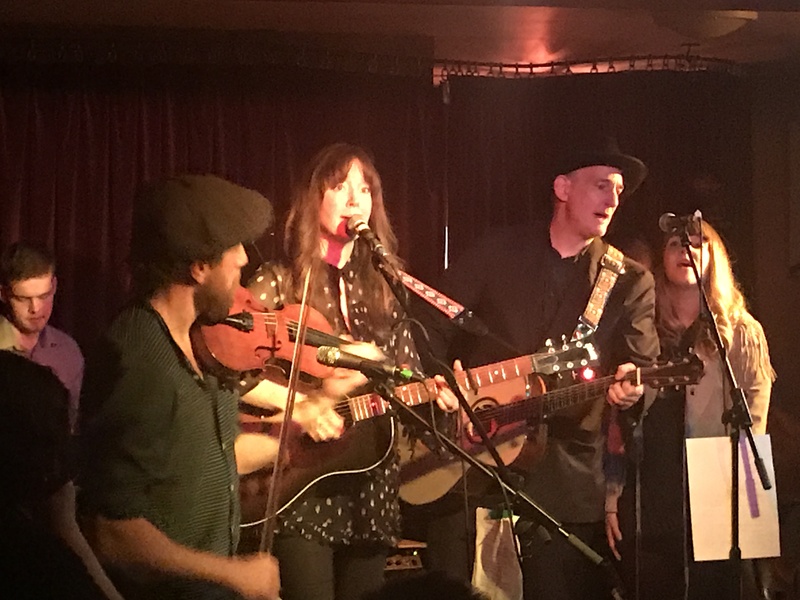 The friendly and intimate atmosphere of the Green Note club in London’s Camden was the perfect venue for what proved to be a successful launch of Kate Ellis’ album “Carve Me Out”. Support came from “Two Ways Home” who were also launching a new recording, playing tracks from their new EP “Closest Stranger”. Performing on this occasion as a duo, Isabella and Lewis have been playing together for several years and it shows, perfectly in sync and giving a polished performance. Later, Isabella joined Kate Ellis for one track and Lewis for another. Ellis began with “What I Can’t Have” and followed up with the single “Don’t Lie To Me”, the album’s standout track which was dedicated “to politicians on both sides of the Atlantic”. An eleven song set comprised all ten songs from the album plus an excellent cover of a cover, Ellis’ take on Johnny Cash’s version of “Hurt” which worked very well. 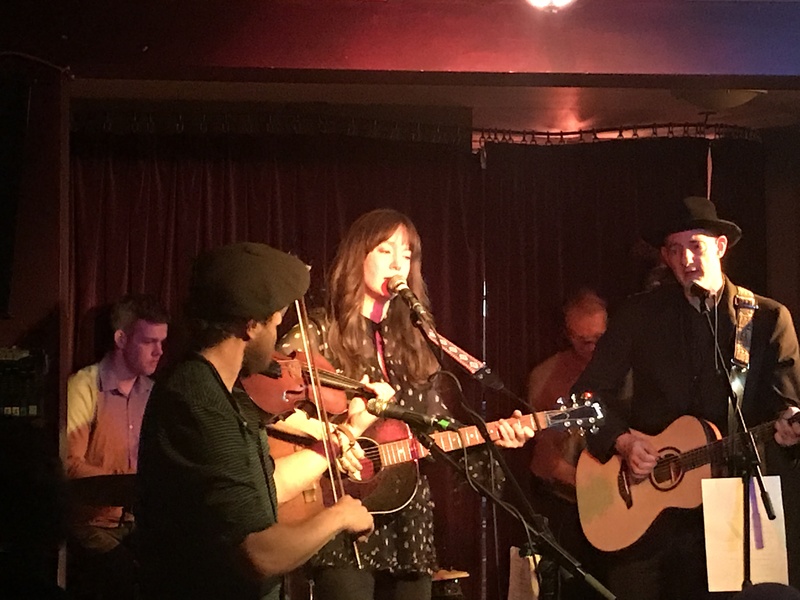 This was a beautiful performance, with Ellis confidently showcasing her album’s material with the help of her talented band comprising of drums, fiddle (and melodica), double bass and guitar/vocals. Perhaps the highlight of the set was the track “Ones You Love The Most” which Ellis said “is about the truth that we can all hurt the ones that we love”. Ellis saved the album’s title track for an encore, which she wrote for her mother and has a haunting melody. If you get a chance check out her album, there’s some quality tracks on it, well performed and well produced.